The first key to creating an effective brand portfolio strategy is in understanding exactly what is a brand. Is it a logo? No. Well then, a symbol, a name or a spokesperson? Not exactly. OK, then is it a catchy jingle, a clever slogan, a well-designed ad or a popular product? Well, yes and no. While it can be all of these things, for our intents and purposes we must think of it as a valuable asset. By strategically creating, implementing and managing brand assets, they can be so powerful as to push growth at the top and from the bottom at the same time. But the portfolio of brands must be carefully maintained. Or to borrow an idea from Babe Ruth, "You may have the greatest bunch of individual brands in the world, but if they aren't well managed, the portfolio won't be worth a dime." A brand strategy should effectively support the company's business strategy in order to have an impact on profitability. 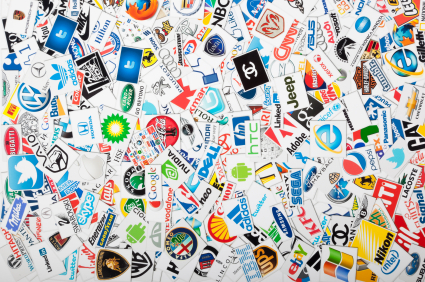 Each brand should contribute to the overall portfolio. The scope of each brand and how each one works with the rest of the "team" is of utmost importance. A cohesive and well defined brand portfolio is as reassuring to the clients as it is to the company's employees, as it shows a strong and clear strategic focus that is a mirror image of the business strategy. No confusion. Use the portfolio to enter new markets, offer new products or rise into higher arenas of business, but at all costs you should resist the urge to add unnecessary brands. If a brand is getting worn and tired, think about the addition of branded energizers to get it going again. These could be through special promotions, sponsorships, symbols or jingles. Remember that brand portfolio strategy is about the family, not about one individual. Each player in the portfolio should work together to deliver one clear message through synergy, relevance and energy. Use the process of reviewing and refining to define a brand's relevance. In this way you can reduce the portfolio's size when necessary and stay on track to reach your stated goal. I can agree with you on that subject. You really know what you are saying, and we can see that. Good job. Thank you! I now understand how to create an effective brand portfolio! wow great info. I will put this to great use in my home business. I now know a starategy is very big in success. This is thanks to the info. you have provided. Making a good logo and products next to it can be effective indeed. Just see Apple for example: there are better phones but still people buy it because it's "Iphone"
I stand corrected teamwork in the strategy of the portfolio of brands. Important, however, efforts to reach the predetermined goal. Business Strategy is quite good. I think it is easy to do. Actually the brand portfolio can have an effect on the business. So it is important to create a very impressive brand portfolio so that it will be helpful for the business. This is a very useful article to learn the keys to make a good brand portfolio. thanx I will keep mind this when I create a portfolio for my business. Keep posting good things like this. Nice article about portfolios. Thanks for your tips , I think they are useful for new startups. awesome article. evey great brand is known by its logo may it be mereced ferrarri.one should be very careful and precise about his or her logo like what he wanna denote and its principles and morals.